APPLETON, Wis. — Michael Hall has been selected as the new full-time head coach of the Lawrence University fencing teams, Director of Athletics Christyn Abaray announced today. Hall has more than 20 years of coaching experience and comes to Lawrence from Austin, Texas, where he was coaching the University of Texas Fencing Club and serving as a club coach at the Texas Fencing Academy. 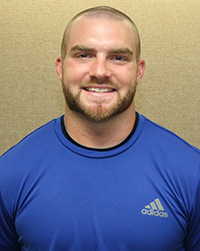 “I’m really excited to be selected as the first full-time fencing coach for the program. I’d like to thank Christyn and the administration for giving me this opportunity,” Hall said. Hall has prior college coaching experience after serving as an assistant coach at the United States Air Force Academy in 2013 and 2014. 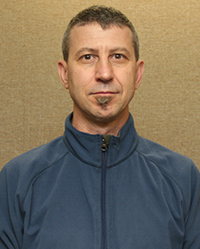 Hall, a 1986 graduate of the University of Texas where he competed on the fencing team, also has served as a club coach at the Austin Fencers Club. Hall replaces Steve Amich, who stepped down after more than two decades with the program as head coach, assistant coach and armorer. The Vikings put together a solid campaign in 2015-16 with the men taking fourth place and the women fifth in the Midwest Fencing Conference. Freshman Nathan Schlesinger qualified for the NCAA Championships in foil to become the first Lawrence fencer to go the national meet since 2001. WALTHAM, Mass. — Lawrence University fencer Nathan Schlesinger finished 24th in foil on Sunday at the NCAA Championships at Brandeis University. Scheslinger, a freshman from Austin, Texas, posted one victory in his 23 bouts over the course of two days. Schlesinger scored 26 touches and had 114 touches received. Maximilien Chastanet of Ohio State University was the foil champion. Schlesinger is the first Lawrence fencer to qualify for the NCAA Championships since Jeff Peyton made his fourth trip to the national meet in 2001. APPLETON, Wis. — Lawrence University fencer Nathan Schlesinger knew the situation at last Saturday’s NCAA Midwest Regional — win and you’re in. Schlesinger, a freshman from Austin, Texas, who competes in foil, took it to the wire and beat Algird Szumlas of the University of Detroit Mercy in overtime and punched his ticket to the NCAA Championships. Schlesinger is headed to Brandeis University in Waltham, Mass., for the NCAA Championships, which take place March 24-27. The foil competition is March 26-27. Schlesinger is Lawrence’s first qualifier for the NCAA meet since Jeff Peyton completed a four-year run at the national meet in 2001. Peyton also competed in foil. Schlesinger also is the first Lawrence athlete to qualify for an NCAA championship since high jumper Rose Tepper went to the NCAA indoor meet back in 2011. Szumlas was one of those two and Cleveland State University’s Adam Mack was the other. Schlesinger beat Mack pretty easily but it went down to the final touch to defeat Szumlas. Schlesinger finished the competition with a 5-6 record, and when he checked the scoresheets, he saw that Szumlas had four wins and Mack had only three. The Midwest Regional was slated to have five qualifiers from foil and claiming the top four spots were Notre Dame’s Axel Kiefer, Ohio State’s Stanislav Sudilovsky and Maximilian Chastanet and Notre Dame’s Kristjan Archer. Since NCAA rules prohibit more than two fencers from one school from qualifying in any weapon, Schlesinger claimed the final berth ahead of fencers from Notre Dame and Ohio State. Lawrence’s fencing history at the NCAA Championships goes back to 1995 when Mike Gattnar won the national title in epee. COLUMBUS, Ohio — Rookie Nathan Schlesinger led the Lawrence University fencing team with a seventh-place finish at Saturday’s NCAA Midwest Regional at Ohio State University. Schlesinger, a freshman from Austin, Texas, took seventh in foil with a 5-6 record. Schlesinger scored 31 touches for the day and was just a minus-5 for the regional. Lawrence had one more men’s top-10 finisher as Ben Carlick, a freshman from Berkley Heights, N.J., grabbed 10th in foil. He posted a 3-8 record and registered 25 touches for the day. In men’s epee, Philip Ziller and Connor Schurr won one bout apiece. Ziller finished 12th and Schurr was 13th. Lawrence did not have a representative in men’s sabre. On the women’s side, Lawrence had two top-10 finishers, Shelby Guinn and Lauren Phillips. Guinn won one bout and registered 16 touches to take 10th in sabre. Lauren Phillips registered 17 touches and placed 10th in women’s epee. Erin Paxson took 11th for the Vikings in sabre, and Kali Thibault won a pair of bouts and scored 26 touches to place 16th in women’s foil. APPLETON, Wis. — Five Lawrence University fencers earned All-Midwest Fencing Conference honors based on their finishes at the league championships this past weekend. Leading the way was men’s foil, which had two second-team honorees, Nathan Schlesinger (Austin, Texas) and Ben Carlick (Berkeley Heights, N.J.). Scheslinger placed sixth in Saturday’s individual competition at Ohio State University and Carlick was eighth. Joe Davis (St. Louis, Mo.) earned honorable mention after finishing 10th in sabre. On the women’s side, Natalie Hagopian (Madison, Wis.) and Shelby Guinn (Billings, Mont.) both earned honorable mention. Hagopian finished 12th in foil, and Guinn was 12th in sabre. COLUMBUS, Ohio — Men’s foil and men’s sabre both grabbed third-place finishes Sunday to lead Lawrence University to fourth place at the Midwest Fencing Conference Championships at French Field House. The Vikings finished fourth in the combined team standings with 1,275 points. Ohio State won the title with 1,590. The Lawrence men were second with 690 points, and Ohio State took the top spot with 810. The Lawrence women were fifth with 585, and Northwestern was first with 785. Men’s foil edged Northwestern 5-4 in the third-place match as Ben Carlick won all three of his bouts for Lawrence. Nathan Schlesinger picked up the other two wins for the Vikings. Men’s foil started the day with a 5-0 sweep of Illinois, and the Vikings then edged the University of Chicago 5-4 in the quarterfinals. The Vikings fell 5-4 to Cleveland State in the semifinals but bounced back to win the thriller over Northwestern. Men’s sabre also won a 5-4 nail-biter in the third-place match. Joe Davis won all three of his bouts to lead the Vikings to the win over Michigan State, and William Henry and Kai Kramer picked up one win apiece. The Vikings swept Illinois 5-0 in the first round, and Lawrence defeated Wayne State 5-2 in the quarterfinals. Michigan downed the Vikings 5-3 to send Lawrence to the third-place match. Men’s epee finished seventh with a 5-1 victory over Xavier in the seventh-place match. The Vikings started the day with a 5-0 sweep of Purdue in the first round before a 5-3 loss to Michigan dropped them into the consolation bracket. After a 5-4 loss to Illinois, the Vikings defeated Xavier. On the women’s side, Lawrence’s sabre contingent finished sixth despite having only two fencers instead of three. The short-handed duo of Shelby Guinn and Erin Paxson defeated Chicago 5-4 in the first round before falling 5-0 to Ohio State. Guinn and Paxson then tied Case Western Reserve 4-4 but won the touches tiebreaker 13-10 to advance to the fifth-place match. The Vikings nearly pulled that one out as well, but Michigan State hung on for a 5-4 victory. In women’s foil, Lawrence took sixth place. The Vikings started with a 5-0 win over Michigan State before falling 5-0 to Northwestern. The Vikings then defeated Wisconsin 5-0 before losing 5-2 to Michigan in the fifth-place match. Women’s epee lost its first round match 5-2 to Wisconsin and placed 10th. COLUMBUS, Ohio — Nathan Schlesinger and Ben Carlick both posted top-10 finishes on Saturday to lead Lawrence University at the Midwest Fencing Conference Championships at French Field House. Competing in foil, Schlesinger took sixth place and Carlick was eighth to pace the Vikings. Schlesinger and Carlick both reached the quarterfinals before being eliminated. Jacob Hodges finished 28th and Jack Calkwood was 33rd to round out Lawrence’s foil contingent. Joe Davis led Lawrence’s group in sabre by taking 10th place. Davis got to the round of 16 before losing to Michigan’s Nitikorn Dornjandaeng. Kai Kramer was 29th, William Henry took 36th and Aaron Phalin was 56th for the Vikings. Moses Zarkin-Scott took 31st in epee to pace Lawrence with Connor Schurr coming in 41st and Phillip Ziller taking 48th. On the women’s side, Shelby Guinn and Natalie Hagopian were the top finishers for the Vikings. Guinn finished 12th in sabre and got all the way to the round of 16 before losing to the eventual champion, Alisha Gomez-Shah of Northwestern. Erin Paxson grabbed 18th place for the Vikings in sabre. Hagopian placed 12th in foil and also reached the round of 16 where she lost to the eventual champion, Ohio State’s Eleanor Harvey. Lawrence’s Kali Thibault took 23rd, Tia Azimioara was 32nd and Ariana Colderon-Zavala was 52nd. Lauren Phillips led Lawrence’s group in epee as she placed 17th. Jasper Olsen took 41st and Annabelle Tsai was 45th. The team competition takes place on Sunday. NOTRE DAME, Ind. — The Lawrence University men’s and women’s fencing teams combined for three wins at the Northwestern Duals this weekend at the Castellan Fencing Center. The Lawrence men went 2-6, and the women finished 1-9. The Lawrence men posted a 17-10 win over Caltech and defeated the Northwestern club team 17-10. The Vikings went 2-2 on Saturday and dropped all four of their matches on Sunday. The Lawrence women topped Caltech 17-10 and finished with a 1-4 record on the opening day. Lawrence finished with an 0-5 mark on Sunday.